More than a month ago, WhatsApp users on Android were complaining that the app was not being updated with new features and was all the same since a long time. 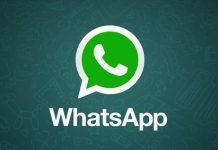 Well, the developers did hear the pleas, and since a few weeks ago, WhatsApp has received some significant updates that added new features to the app and made important changes. WhatsApp now gives you the option to share documents (PDF), but remember that the other user should have updated the app in order to receive documents. Also, the inbuilt camera UI in WhatsApp has been redesigned, and you can now share documents and images from cloud apps like Dropbox, OneDrive, and Google Drive. Apart from other small changes, there are new emojis too. Apart from the significant update, WhatsApp APK is updated everyday with minor updates that bring bug fixes and general improvements to the app. 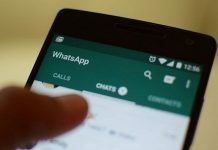 The latest WhatsApp 2.16.15 APK for Android brings end-to-end encryption, which will ensure that only the sender and the recipient can access the contents of the message as it requires a specific key to unscramble it. After you download WhatsApp 2.16.15 on your Android device, you will get a new popup saying “Messages you send to this chat and calls are now secured with end-to-end encryption”. So your calls and messages made from WhatsApp are secure now, so cybercriminals and hackers can no longer try to sneak into your WhatsApp calls and converstations. We live in a world where more of our data is digitized than ever before. Every day we see stories about sensitive records being improperly accessed or stolen. And if nothing is done, more of people’s digital information and communication will be vulnerable to attack in the years to come. Fortunately, end-to-end encryption protects us from these vulnerabilities. The new WhatsApp 2.16.15 APK download file is 27.77 MB and works on all devices running on Android 2.1 or above. 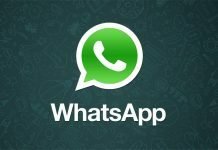 You can download WhatsApp latest version for Android devices from apk4fun.